From the acclaimed series Standing on Sacred Ground, Profit and Loss documents how indigenous groups from Papua New Guinea to the tar sands of Alberta, Canada fight the loss of land, water and health to mining and oil industries. From New Guinean rain forests to Canada’s tar sands, Profit and Loss exposes industrial threats to native peoples’ health, livelihood and cultural survival. In Papua New Guinea, a nickel mine that violently relocated villagers to taboo land is building a new pipeline and refinery, and dumping mining waste into the sea. 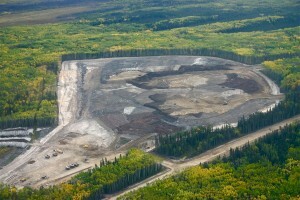 In Alberta, First Nations people suffer from rare cancers as their traditional hunting grounds are strip mined to unearth the world’s third-largest oil reserve. Rare verité scenes of tribal life and intimate interviews allow indigenous people to tell their own stories—and confront us with the ethical consequences of our culture of consumption. Narrated by Graham Greene (Oneida). The Center for Earth, Energy and Democracy (CEED) was founded by a group of researchers, educators and community activists who saw the need to affirm and revitalize principles of democracy and social justice in energy and environmental policy. The founders saw the need for quality policy research and education to create a more honest and accountable system for preserving our social and environmental heritage. CEED proudly joins with a long tradition of individuals and communities who have actively worked to keep the Earth healthy for future generations. Established in 1990 within the United States, IEN was formed by grassroots Indigenous peoples and individuals to address environmental and economic justice issues. IEN’s activities include building the capacity of Indigenous communities and tribal governments to develop mechanisms to protect our sacred sites, land, water, air, natural resources, health of both our people and all living things, and to build economically sustainable communities. 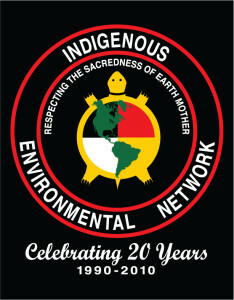 IEN accomplishes this by maintaining an informational clearinghouse, organizing campaigns, direct actions and public awareness, building the capacity of community and tribes to address environmental justice issues, development of initiatives to impact policy, and building alliances among Indigenous communities, tribes, inter-tribal and Indigenous organizations, people-of-color/ethnic organizations, faith-based and women groups, youth, labor, environmental organizations and others. IEN convenes local, regional and national meetings on environmental and economic justice issues, and provides support, resources and referral to Indigenous communities and youth throughout primarily North America – and in recent years – globally.